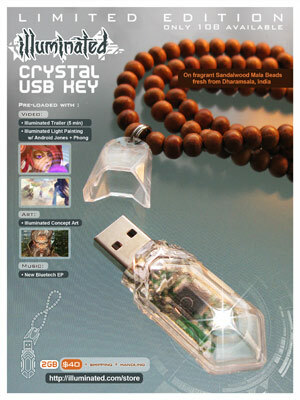 Each hand-numbered, Special Edition Crystal USB Key is a rare time capsule, containing the original seeds for the Illuminated project. Only 108 keys have been pre-loaded with this never before-seen collection of creative nectar. 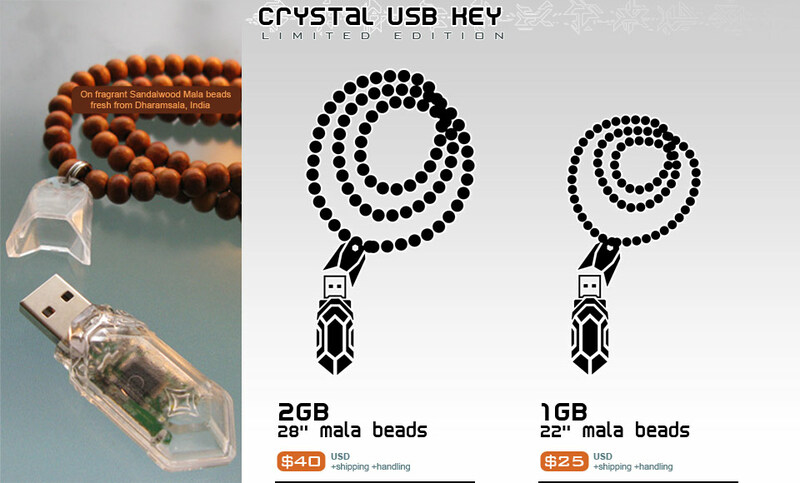 For this Limited Edition release, the designer USB flash stick is strung on fragrant Sandalwood Mala beads, created with special blessings in Dharamsala, India.